You Are Here: Home » Giveaways » It’s Tax Season – Free Turbo Tax Giveaway! It’s Tax Season – Free Turbo Tax Giveaway! 20242 Comments - Leave a comment! Maybe it’s just me, but I enjoy tax season. I don’t like paying taxes, but it’s math that is relatively straight forward if you can follow some steps, and I love math. To help celebrate tax season, the good people at TurboTax recently gave me two FREE filings to give away to you all. Keep reading to see how to enter to win a free 2009 TurboTax Deluxe filing. There are two simple ways to win one of these free filings. Method 1: Tweet “Taxes are easy using @turbotax. Win a free filing here: http://bit.ly/cBeA3U (via @brianscheur) and by RTing”. Method 2: Leave a comment at the bottom of this post saying what your plans are for your return (or just say, “give me a free turbo tax filing this year”). Winners will be chosen at random next Monday, 2/8. If you don’t win a free filing here, you can check in with mapgirl, Clever Dude, Peter and J. Money (his giveaway is later this week) for their giveaways. In case you missed it a few weeks ago, Mrs. Micah from Finance for a Freelance Life wrote a great article breaking down some of the most common and easiest credits and deductions. Check out the Mammoth List of 2009 Tax Credits and Deductions. 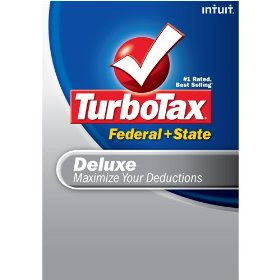 20,242 Responses to It’s Tax Season – Free Turbo Tax Giveaway! an expert in this area to solve my problem. I just couldn’t leave your website before suggesting that I actually loved the usual info a person provide for your visitors?